On Tuesday, January 26th Journey Home led the efforts to collect information on those experiencing homelessness in the Greater Hartford area. 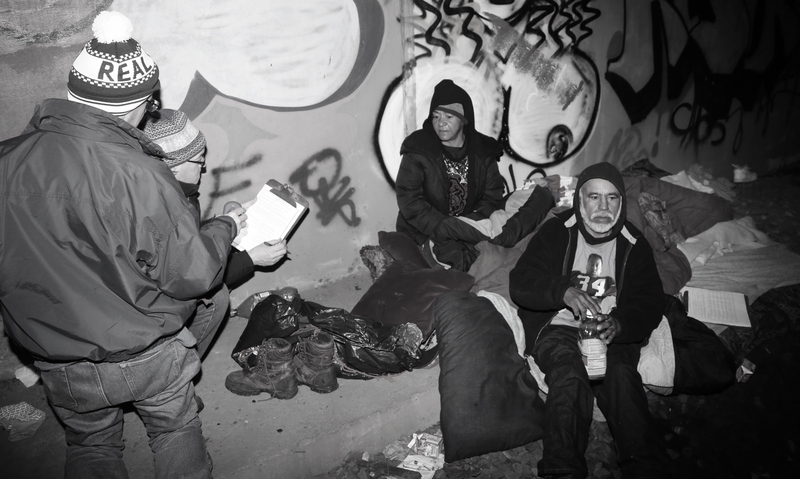 This year’s Point- in-Time (PIT) count, which is a federally mandated census of all those experiencing homelessness on a given night in January, was carried out by dedicated teams or outreach leads, shelter staff and volunteers. This count was once again a successful collaborative effort on behalf of regional coordinators with Community Renewal Team (CRT) and Journey Home. We were thankful that the snow held off and we were able to conduct the count without having to reschedule due to inclement weather. The count was successful because of the dedicated volunteers who showed up even before the sun rose, in the hopes of making a difference. We had volunteers from local universities, The Department of Housing and Urban Development, The Department of Veteran’s Affairs and concerned residents of Greater Hartford. The final Connecticut PIT results will be available in the coming months and will offer detailed estimates for the Greater Hartford area along with the rest of the state. This data is important because it outlines the need for housing programs, additional funding, and it also allows us to set goals for the coming year. It gives a snapshot of homelessness in the Greater Hartford area and outlines progress made towards ending chronic homelessness. Journey Home would like to extend our deepest gratitude to all the volunteers and partner agencies for their tireless efforts during the PIT count towards ending chronic homelessness.